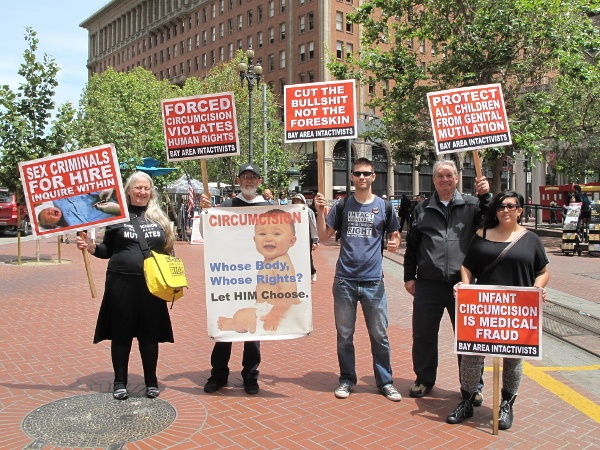 Bay Area Intactivists will hold a peaceful demonstration outside the Parc 55 hotel during the 2015 UCSF "Obstetrics & Gynecology Update: What Does the Evidence Tell Us?" conference to confront those who force genital modifications on healthy male, female, or intersex children. All forms of unnecessary genital alteration violate medical ethics and the human right to bodily integrity when performed without the informed consent of the patient.